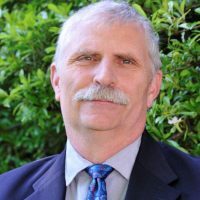 Dr. Paul Hasselback is the Medical Health Officer for Central Vancouver Island. Since 1990 he has also held Medical Health Officer positions in the BC Interior, Southwestern Alberta, Calgary and Regina. He is a specialist in public health and preventive medicine who trained in Toronto, Ottawa and Montreal and was in family practice in rural Saskatchewan for four years. He has a master’s of science in epidemiology and is a Clinical Associate Professor at UBC and an Affiliate Clinical Professor at UVic. Paul has over 30 peer reviewed publications and has done 140+ public health related academic presentations. In 2000 he was awarded the Canadian Public Health Association award for “an individual who has significantly advanced the cause, legitimized and stressed the responsibility for the state of the art of the public health”. In 2010 he was awarded the National Specialist Society for Community Medicine President’s Award.